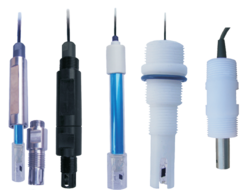 Providing you the best range of ph and orp sensors, temperature sensors, conductivity & tds sensors, pressure sensors, level sensor (non- contact) and flow sensors with effective & timely delivery. 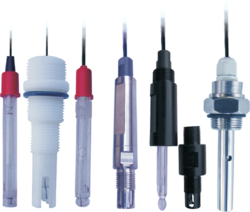 pH/ ORP E Series pH/ ORP sensors are very accurate, rugged & economical for continuous online measurement for pH & ORP. 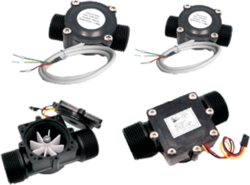 These model pH/ ORP sensors provide 0 - 120°C wide. Temperature range should withstand the pressure up to 6 bar with easy online fittings available in different models. Temperature sensors are manufactured under advanced technology. In order to ensure high-quality status, we have our own calibration facility with precious temperature calibrators. Which are traceable to international Standard. Different types of thermocouple, RTD, and Shapes. Compensating cables are available on request. TDS / CONDE Series TDS / conductivity sensors are very accurate, rugged & economical for continuous online measurement of TDS & conductivity. The stainless steel pressure port makes the sensors resistant to aggressive media such as Oil, Fuel, Diesel, Water and other aggressive Liquids. The sensors are factory calibrated using the state-of-art, highly productive electronic trimming technology. Shock Resistant and Vibration Resistant. 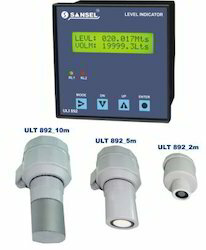 ULI 892 & ULT 892 series transmitters are 3 wire type instruments. An ultrasonic wave is pulsed 5 times a second. The reflection of this pulse is received by the sensor. The time taken for the wave to travel to the object and back to the sensor is proportional to the distance of the object from the sensor. Process pressure 10 - 16 bar. We also deal in Flow Sensors.